American Cruise Lines announces three amazing 2019 Premium Pre-Cruise Packages on select cruises throughout the year. From exhilarating jet boat tours to luxury hotels, American’s 2019 Premium Pre-Cruise Packages offer an enriching way to begin cruises around the country. 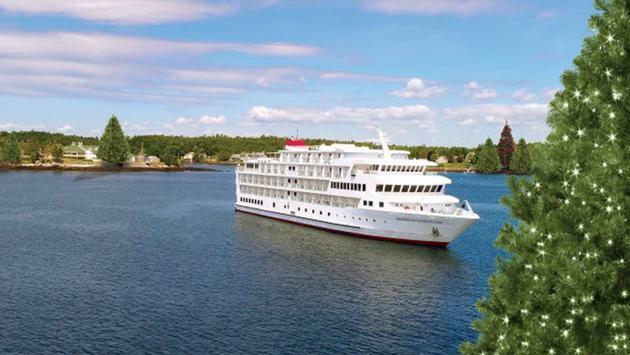 This year, American is operating river and coastal cruises aboard its fleet of 11 small ships to over 25 states, along 35 exceptional U.S. itineraries. The special 2019 Premium Pre-Cruise Packages are available for American’s cruises departing from Memphis; Boston; and Clarkston, Washington. All 2019 cruises departing from Memphis offer a Premium Graceland Pre-Cruise Package which includes two nights at the Guest House Hotel (right next door to Graceland), VIP Graceland tickets (including lunch), as well as a Memphis City Tour and transportation to the ship. American regularly operates over nine spectacular itineraries on the Mississippi River. The Premium Graceland Pre-Cruise Package is available on all American’s eight-day Lower Mississippi Cruises between Memphis and New Orleans. American’s 2019 11-day Grand New England Cruises, roundtrip from Boston, MA, offer a luxurious Premium Four Seasons Pre-Cruise Package, including one-night stay at the Four Seasons Hotel which includes a full breakfast at the hotel’s lovely Bristol Restaurant. After breakfast, guests can enjoy a narrated Boston City Tour visiting highlights such as Faneuil Hall, Quincy Market, Old South Church, and much more. Transportation to the ship is also included. Finally, all American’s 2019 Pacific Northwest cruises departing from Clarkston, WA, (8-day Columbia & Snake River Cruises and 11-day Northwest Pioneers Cruises), offer a 2-night Premium Hells Canyon Pre-Cruise Package with Jet Boat Tour. Clarkston is home to the deepest canyon in North America and American’s guests are sure to be thrilled by the Hells Canyon Jet Boat Tour which includes lunch at a remote ranch deep within this natural wonder. This Premium Package also includes two-nights in Clarkston at a hotel conveniently located right at the ship’s dock. Assistance with luggage included. Memphis; Clarkston, Washington; St. Paul, Minnesota; St. Louis, Missouri; Pittsburg, Ohio; Nashville; Portland, Oregon; New Orleans; and Juneau, Alaska. 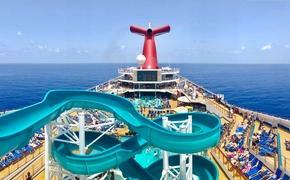 SOURCE: American Cruise Lines press release.